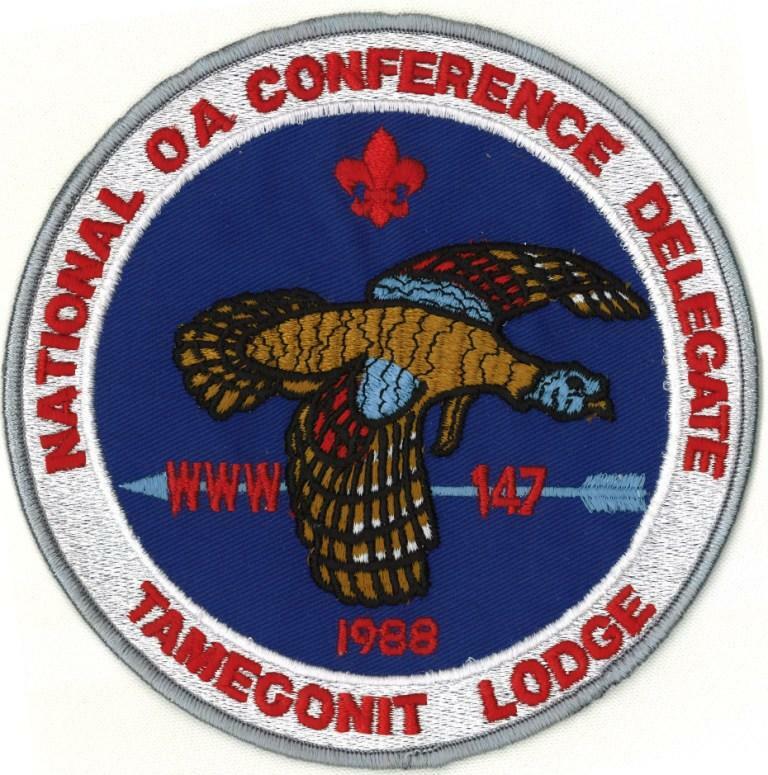 Collectors of Tamegonit Lodge memorobilia are familiar with the NOAC back patches used for contingent members in 1986 and 1988, but did you know there were actually jackets that accompanied the patches? 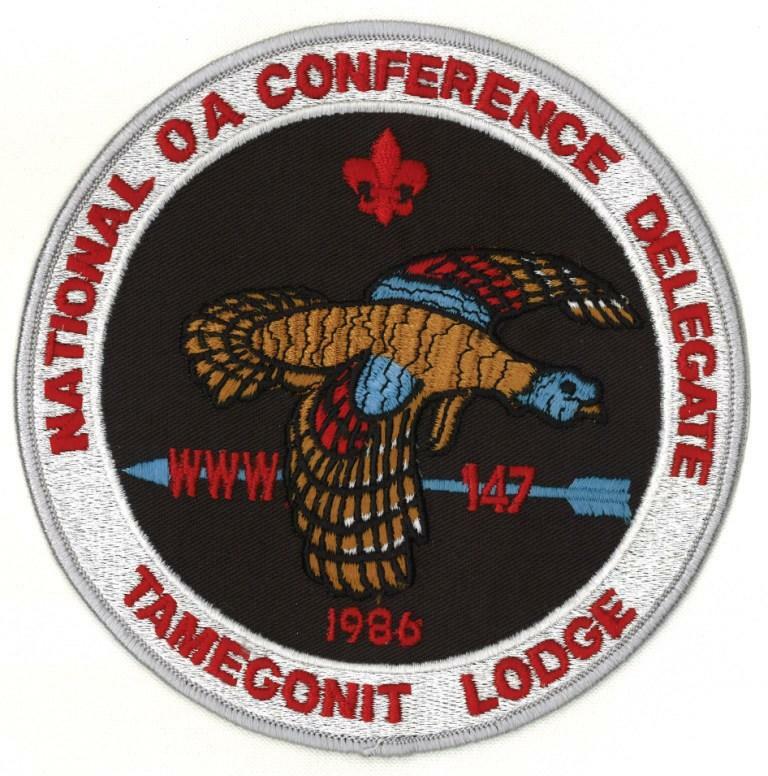 According to members of the contingents, each contingent member could purchase one of the loose patches and also had the opportunity to purchase a nylon jacket with the patch (gasp!) sewn to the back. 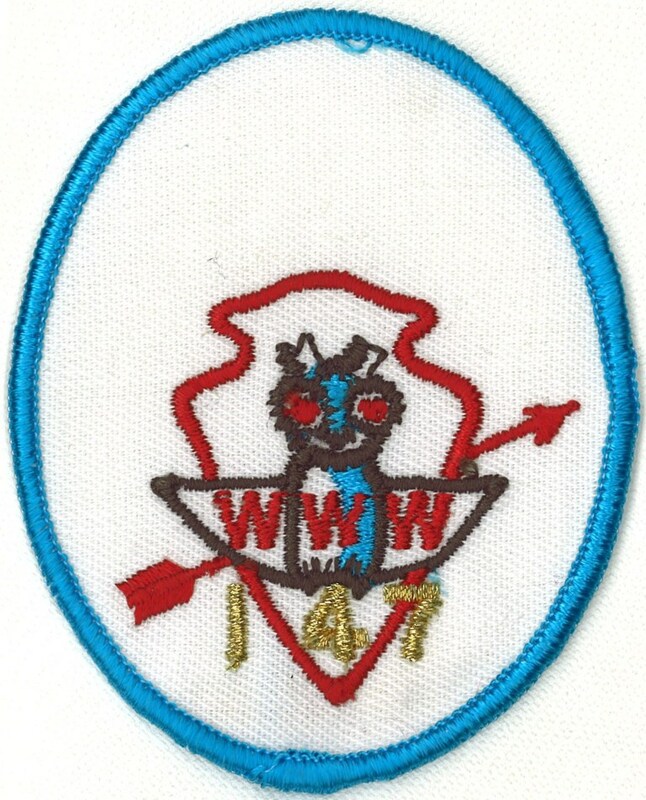 Following are scans of the unsewn patches. 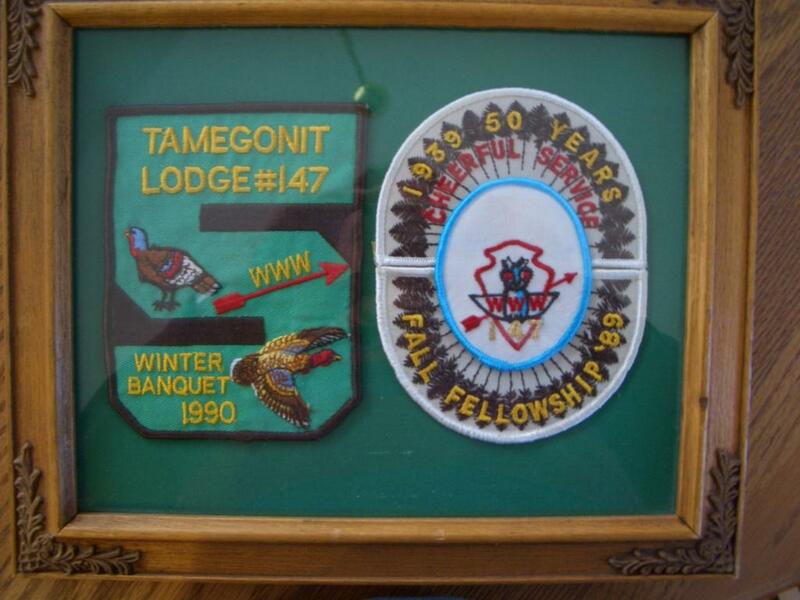 According to Tamegonit Lodge, The First Fifty Years, 96 of the 1986 back patch were made and 103 of the 1988 back patch were made. 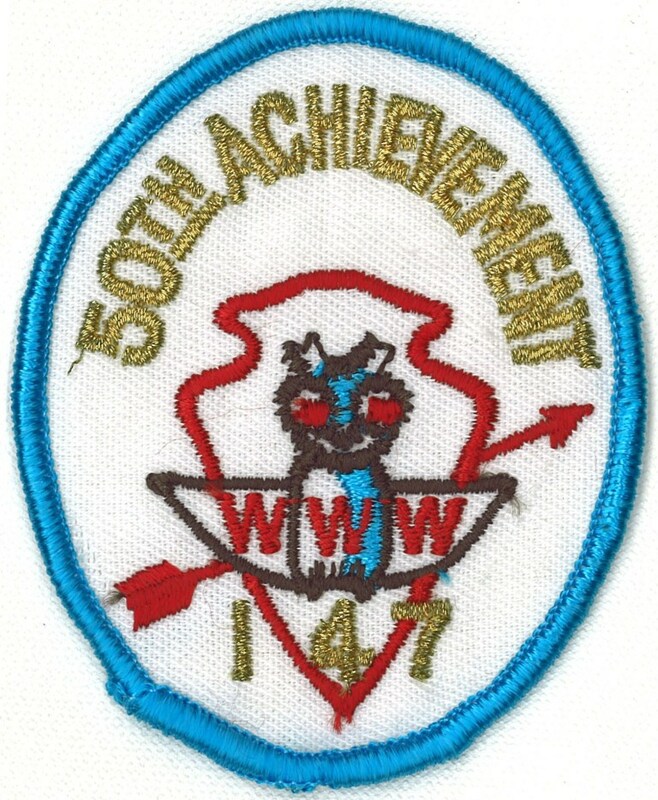 It is unclear how many of the patches were sewn to jackets. 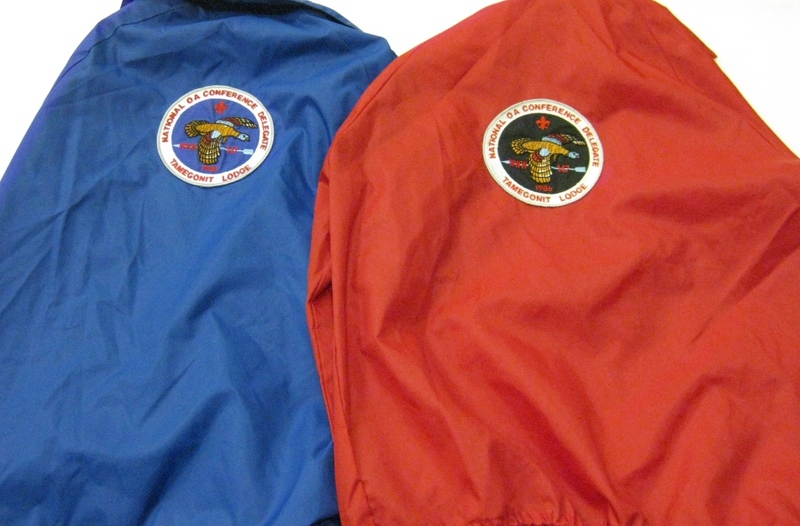 Here’s an image of both jackets which belong to contingent member and former lodge advisor, Kirk Doan. 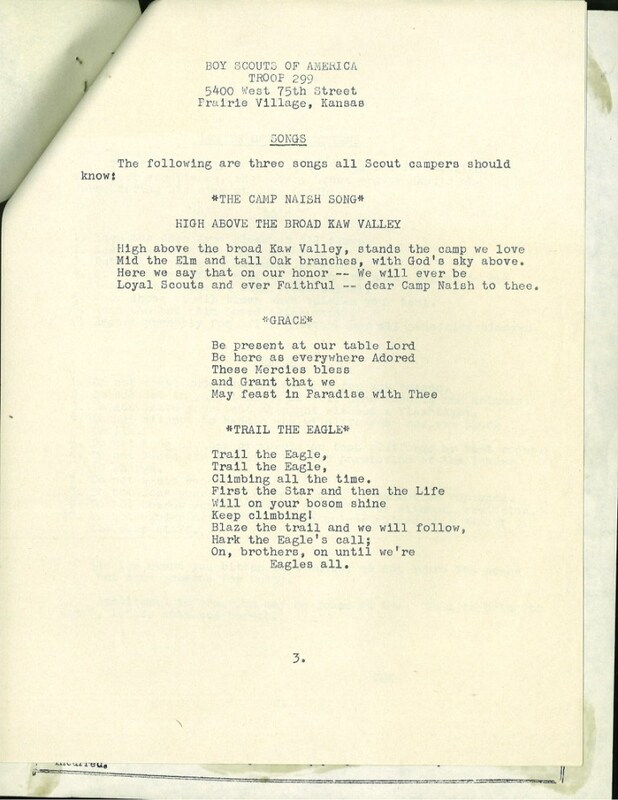 As I wrote a few weeks ago, my dad attended Camp Naish with Troop 299 of Prairie Village, Kansas from 1960-1962. 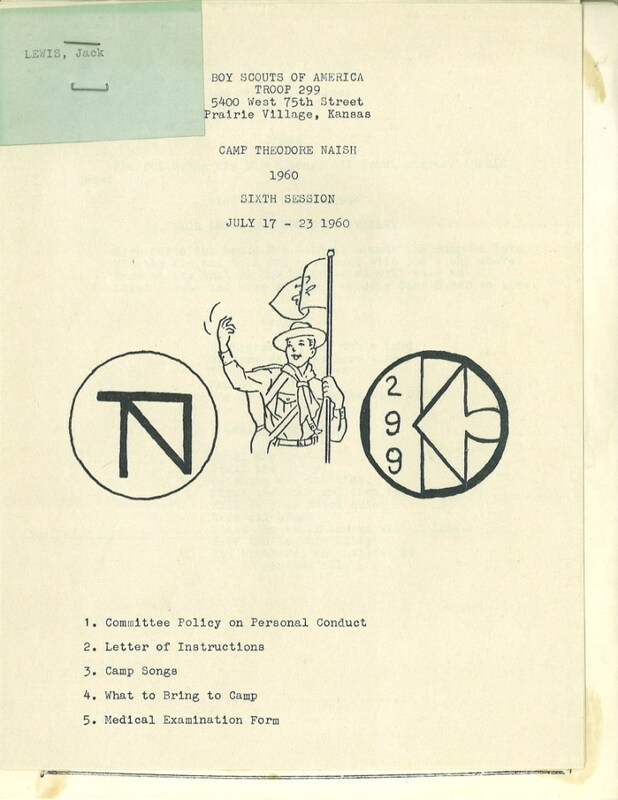 Following is a scan of his camp information packet provided by his troop from 1960. Click on each image for a larger version. 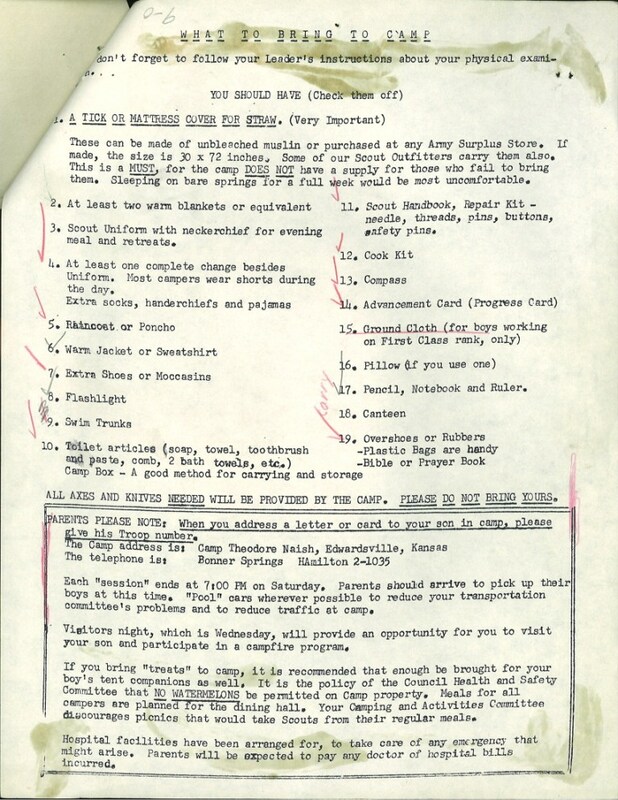 Finally, What to Bring to Camp – complete with my dad’s checkmarks, the old camp address and a warning from the Council Health and Safety Committee that NO WATERMELONS are permitted at camp. Why? 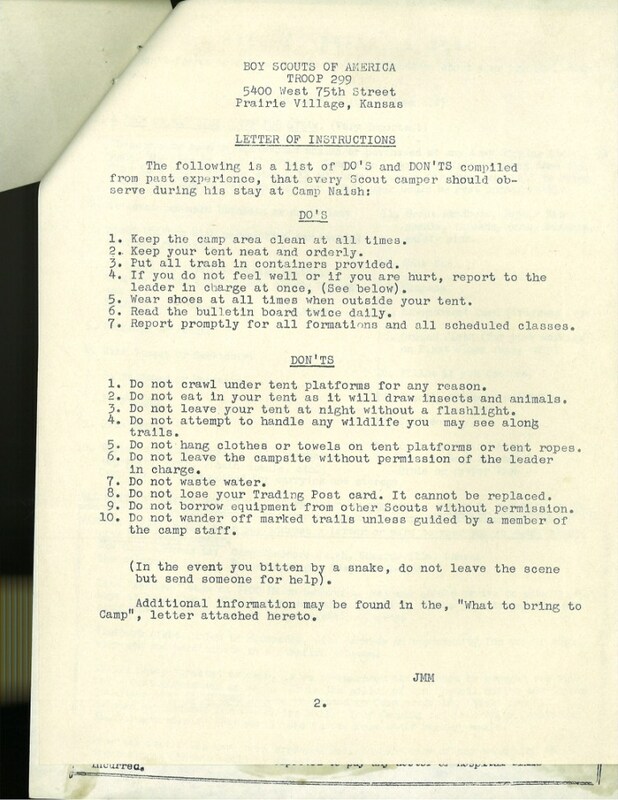 How many scouts used a straw tick mattress at camp this summer?